Once a week I like to take a little bit of time out and look through all of the pictures that I have stored on my computer. I like to select just one lost moment in time and reflect upon it on my Thursday Blog. Sometimes it's pretty easy to come up with that special lost moment in time and sometimes it's pretty easy and sometimes it's not so easy, it is however always a lot of fun. This weeks picture takes us back to August 6, 2011. It was the happiest day of my life when for the first time in my life I exchanged wedding vows with someone that I loved. 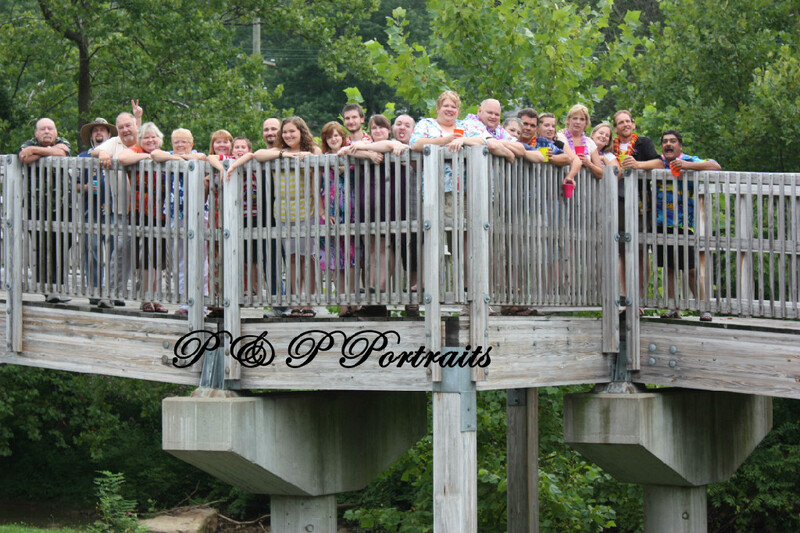 Our Photographers, who were also Michelle's nieces at P and P Portraits decided to use the bridge outside of the Marilla center as a prop. They decided to get a picture of both of the families together and I think it turned out pretty well. This was one of many pictures that were taken that day, but this was one where we tried to get everyone together at once the best that we could. As I recall we did this photo and then a photo where everyone is making a funny face, but this one turned out a little better I think. If you look over that noontime hump, just on the other side of a photo flashback you can see the dawn of another weekend off in the distance. Alright, I'm ready for some warmer weather already. All this snow, ice and icy rain is due to leave us for the season. I'm ready to see and smell my daffodils and set my back patio up again for the spring. I'm ready to see the squirrels running through the yard and I'm ready to battle the deer for my peppers that I am growing on the back patio garden. I'm ready for baseball and longer days, shorts and sandals and the fresh smell of spring to emanate through the air tickling my nostrils with pleasant spring like smells. I'm ready to hear the birds chirping, the motorcycles riding, dogs barking and kids playing outside. Bring on Spring. Michelle and I have been watching this Netflix original House of Cards. It's a 13 part series and it has us both addicted to the mini-series, although they are calling this season one. All the guys from my office are also watching this and it's the talk of the office. We'll probably finish it by this weekend, but it has been a lot of fun to watch and I'm already anticipating season two. Cardio and legs (ouch) today. 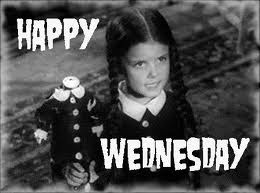 * Well Monday is once again in our rear view mirrors and we are staring straight down the barrel of a Tuesday. I STILL can;t think of a better reason than that to do a tidbits. * It's been 1,810 days since Michelle and I went out on our first date. A date that changed both of our lives forever. * 1,033 days ago I wanted to make that change for the better permanent and I proposed marriage. * 570 days ago Michelle became my wife, in front of our closest friends and family at the Marilla Center. * There are only 302 more shopping days left until Christmas. It's never too early to get a good start. * In 194 more days we report to the Port of Baltimore and set sail once again on our second cruise to the Eastern Carribean. I'm looking forward to snorkeling once again. I think we're going to purchase our own equipment this year. * In 142 more days we'll be doing our yearly reuniting of the Parrot Head Nation in Pittsburgh. I picked up everyone who requested tickets tickets this morning when they went on sale. We'll have 8 people at our tailgate this year, hopefully we can add a few more. * In 116 days Michelle and I will be heading to Heinz Field to see Kenny Chesney. * There are only 23 more days left until Spring!!!!!! * It's a cardio (that's every day) and shoulders day in the Gym. Well it's time to stop enjoying ourselves so much and get back to sticking our noses on the grindstone for another fun filled week of work. 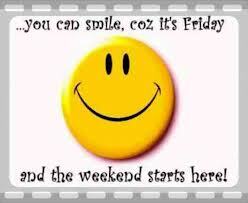 We all love the weekends, but all good things must come to an end so that we can prepare for another one. 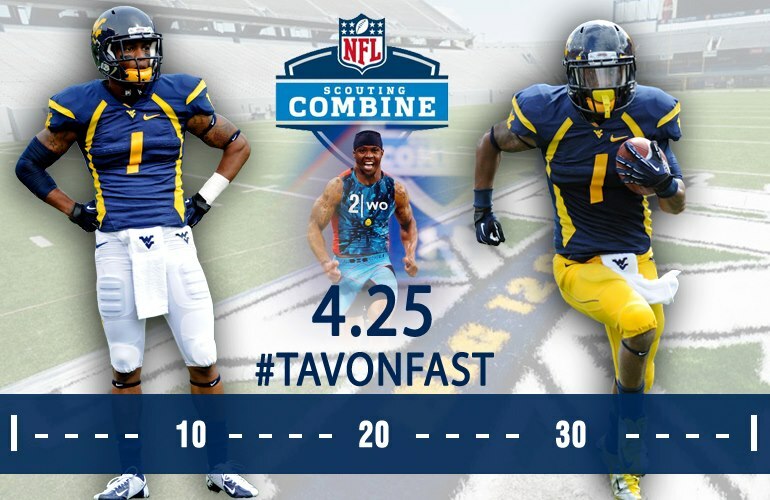 At The NFL Combines yesterday West Virginia's Tavon Austin turned in a remarkable 4.25 40 yard dash on his first attempt. That time was later adjusted to a 4.34 which is still blazing fast and was the second fastest among Wide Receivers. His 4.25 would have been the fastest. Geno Smith was the third WVU QB in the last six years to post the fastest time at the combine by a QB (Pat White and Jarrett Brown also accomplished this feat). WVU could realistically have two VERY high draft picks in the coming NFL draft including possibly the #1 pick with Geno to possibly Kansas City. Alright Pittsburgh area Parrot heads, at 10:00 this morning ticket's for Jimmy Buffett's July 18th concert go on sale. They will go quickly, especially the lawn seats (the place to be) and I'll be on top of it at 10:00 AM. Have a number of tickets that need to be ordered today. For those of you with Netflix, there is a 13 part Netflix exclusive called House of Card's that Michelle and I have been getting into this weekend. A few guys from work told me about it so we started watching, and continued to watch. It's very entertaining and very intriguing to watch, we both like Kevin Spacey and he has knocked it out of the park with this role. Here I sit once again, being the first to recover from a losing battle with the sandman from last night and sitting here watching the movie the Break Up. Just sat some meat out of the freezer to un-thaw for breakfast. Speaking of food we went to Tanger Outlets yesterday, my Columbia jacket that I wear all the time had ripped down the seam and needed to be replaced. We were going to make a home made pizza last night, but the dough takes almost two hours to set up, so we decided to stop somewhere along the road to eat. Michelle's company recently converted their truck stop on I-79 into a Huddle House so we decided to stop and try it since neither of us had ever eaten at one. I have to say the building looks very nice after some much needed remodeling, the food was very good with a lot of different choices, the portion sizes were large, everything was very fresh and had a nice presentation and it was fairly inexpensive. I would have to give it a two thumbs and can honestly think of it as a viable alternative for going out to dinner when Morgantown Restaurants are kind of ridiculous. This morning we'll be doing our Sunday Morning grocery shopping and probably be staying around the house doing chores for the week. Buffett tickets go on sale tomorrow morning for his July 18th date. Here I sit once again in a quiet household, I'm the only person who has recovered from a losing battle with the sandman and am up. On the TV is the old movie "The Money Pit" with Tom Hanks. Not too much on our agenda for the day, a little early morning Yoga and we'll call this round 2 of the yoga, but other than that not too much planned for the day. We do have to make a trip to Lowes to pick up something to for the house, but other than that not too much going on. Jimmy Buffett tickets go on sake Monday, if anyone is wanting me to pick up their tickets this year I'll need the money by Monday. I'm also ordering some for Michelle's co-workers so this is going to be a sizable transaction to ticketmaster, hopefully we can get a large contingent going this year and break in our new grill right. We're putting the Subaru in the garage monday for an Oil Change and the 15,000 mile check up. They'll rotate the tires and do all of that fun stuff that keeps Pearl running nice and smooth. Fortunately Michelle works just a few yards from there and is not that big of a burden. Great crew they have there. I have to say that this is the time of the year that I hate. Football Season is over with, baseball hasn't began yet and it's not the outdoor summer movie weather yet. It's kind of that time of the season when my Friday blog is really looking for some type of content. I guess for you NASCAR Fans this is your Superbowl weekend as the running of the one race a year I may watch gets run. Yes, the Daytona 500 will be run this Sunday to kick start the 2013 NASCAR season. GoDaddy Spokeswoman Danica Patrick will be on the pole (I can see Beavis and Butthead laughing) for the start of this race, meaning she will be starting at the front row inside position. Not too much planned for me and Michelle this weekend. A little Yoga tomorrow morning again and that may be the highlight of our weekend, other than a few well placed naps. I guess it's just that time of the year when it's too cold to do anything outside and there isn't any football to watch. Once a week I like to take a little bit of time out and look through all of my pictures that I have stored on my computer. I like to select just one lost moment in time and post a blog about it to relive it briefly. Sometimes this is pretty easy to find that picture and sometimes it's a daunting task, it is however always a whole lot of fun. This weeks blog goes back a couple of years now. Hayley was starting her Senior year at Morgantown High, but she also got involved with an outside theatrical production of "Sweeney Todd" at the Metropolitan Theater. She played the roll of a towns person and put a lot of time and effort into this role. They were actually in rehearsals for about a month before the play went live for about a week. On this night Michelle, Chad and I went to watch the play. There was a scene when the characters ran through the audience during the performance and I remember Hayley running in behind us and stealing Chad's hat. It was pretty funny and something I'll always remember. If you take a little bit of time to look over the noon time hump, just on the other side of a photo flashback you will be able to see the dawn on another fun filled weekend off in the distance. It's not that far away, so start planning your weekend. I might be on my own for dinner tonight, Michelle's former Brother in Law's father passed away and she might go home and come back today. She's talking about leaving after lunch and going up an paying her respect and coming back home tonight. Jeff was more than a brother in law, he was also someone she grew up with. I see where my niece Val finally joined the cool club, she bought a Subaru Legacy yesterday. Subaru owners are much cooler than other types of car owners, you have read it here on the internet so you can quote this as true and factual. If anyone ever asks you where you heard that, you can officially say you read it on the internet. * Well Monday is once again behind us and we are once again staring straight down the barrel of a Tuesday, I still can't think of a better reason than that to do a tidbits. * It's been 1,803 days since Michelle and I went on our magical first date almost five years ago. My life was changed for the better ever since. * It's been 1,026 days since I got down on one knee at 4:00 in the morning and proposed marriage. * We are on our 563rd day of wedded bliss since we tied the knot in front of our closest friends and family at the Marilla Center. * There are only 309 more shopping days left until Christmas. Not too early to start. * In 201 days we set sail once again on the high seas heading down south on our Carribean Cruise. * In 149 days we'll be partying down with Jimmy Buffett. This will be Michelle's sixth and my seventh Buffett concert. * In 123 days Michelle and I will be at Heinz Field watching Kenny Chesney. * There are only 30 days left until Spring 2013, if it wanted to hurry up and get here it would not offend me. * In 6 short days Jimmy Buffett tickets go on sale for this years Pittsburgh Concert. * My Brother in law Nick has acquired a new domain where his website will reside. Getgreenandwealthy.com is his new domain name which points to his new website. * A heartfelt condolence to the Summers Family on the Grafton Road. Nathan who grew up with my nieces lost his father Billy Sunday evening in a freak accident when he was cutting Firewood. * It's back to work today for me after a three day holiday weekend. 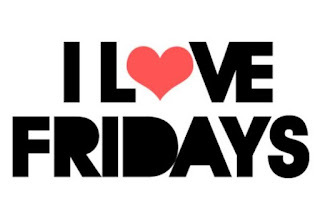 I love being a Federal Contractor, every time there is a Federal Holiday I get a holiday and that includes extending this weekend another day. I have nothing planned for today other than watching some movies and taking a nap. Michelle on the other hand has to work today, so I'll be at home without her. Sounds like a guy movie kind of day. We're trying to round up the people who want to go and see Jimmy Buffett with us this year, I know a number of people have expressed interest in going. If you are interested in going and want me to pick up your tickets next Monday I'll need before then. Once again here I sit in a quiet household, I'm the only one who has recovered from a losing battle with the sandman and am up early playing around the internet. Michelle and I purchased our yearly Valentines Day gift for each other. When we were at the Buffett concert last summer we had four people using our little hand held grill that worked pretty well for just the two of us. However it wasn't quite enough for what we needed and we noticed the people tailgating across from us had this really nice grill that folded and broke down into a carrying bag. I think we decided that day what our gist to each other would be this year, something that we could use for tailgates as we are doing not one but two concerts this summer with Jimmy Buffett announcing his concert in July and tickets go on sale for that in eight days. We bought a Coleman Roadtrip LXX Grill to be able to use for both of those concerts and maybe even a pic nic or two when we pack up the Subaru and head out to someplace like Ohiopyle. 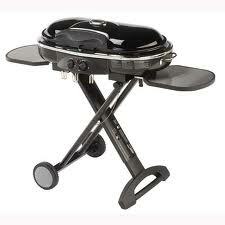 After doing a little research and reading a few reviews we decided that this was the grill for us. Here I sit once again in a quiet household, I am the only one who has recovered from a losing battle with the sandman and am awake at this hour. I've got nothing on in the background and am actually putting all the updates back on my Mom's computer. It bogged down for her and I think it was hacked or something, because it was very slow and all of the storage space was basically used up. So I reformatted it and getting it back to new for her this morning. I did get to to speak to my niece Amy yesterday, she told me she is tired of having no internet and said Frontier now offers internet for where she lives so she is thinking of getting it. I don't know what I would do with out the internet, it's been a part of my daily life for roughly 20 years now dating back to my old AOL days or my WebTV days immediately following that. A very special congratulations that I missed earlier this week go out to my Sister Pam and my brother from another mother George McClain as they celebrated their 25th wedding anniversary this past Tuesday. Michelle had to point out that it was their 25th Wedding Anniversary to me, my first that was it couldn't have been that long ago, well I have to say that I guess I was wrong on that. 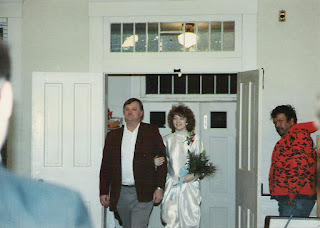 February 12, 1988 and I still seem to remember that day like it was yesterday. George and his brothers Rich and Buddy stopped up at my apartment when I was living at Barrington North prior to the wedding and we all went together to the little church at Drummand Chapel. Afterwards dad and Jean took everyone out to dinner at Ali Baba's when they were near the Dairy Mart in Westover. Yes it was 25 years ago, many have gone from that day and we have welcomed many new people to our family since then. Once again a belated Happy 25h Wedding Anniversary to Pam and George McClain. Michelle and I are going to try to do a little Yoga this morning. I've never done Yoga, but I want to extend my workouts beyond cardio and weight lifting and get a little bit of flexibility. I have a feeling this is either going to be humorous or painful for me this morning, or maybe a little bit of both. No out of the ordinary plans for us this weekend, we're still trying to finalize what our valentines Day together gift is going to be to each other. It's been a nice outdoor grill, a surround sound system, a vacuum food sealer and last year a bread maker and a food processor. We're thinking about a grill to take with us for cookouts and concerts. I think we are set for anything kitchen related, we have Cuisinarts coming out the ying yang. It's a cardio (every day) and arms day for me today. I do chest one day, shoulders the next, then legs a day and my final day is arms. I bought a yoga DVD last weekend that we are probably going to try this weekend. Once a week I like to take a little bit of time out and look through all of my pictures and select just one special pic and write a little blog about. Today I dedicate my blog to my beautiful wife who I love with all of my heart on this Valentines Day version of a Photo Flashback. So help me relive this lost moment in time. This weeks special blog to my valentine is something we plan on doing again this year. This was our first (and not last) trip to a Margaritaville Restaurant. This particular one is in Grand Turk in the Caribbean and had the best calamari on the planet. We had a great time here as this was our first land stop on our cruise last year. We're planning on eating here again while we're doing our snorkeling this September. It was a trip of a lifetime and I was fortunate enough to be able to do it with the love of my life. Same trip we're taking, it you look at the 2:35 mark, the guy below the camera. That was our room for our trip last fall. We enjoyed ourselves so much in 2012, that we booked and paid for our 2013 cruise yesterday afternoon. Carnival Pride here we come again this fall. We will be doing the same trip during the same weekend, on the same boat we went on last year, only this year we used last years experiences to determine exactly what we wanted. Yesterday afternoon we booked and paid for in full our 2013 vacation. We had contemplated a few other options, but this is what we wanted to do and it really is the most cost effective vacation you could ever do. We semi-considered departing out of other ports, but that would have shortened the actual cruise time and made it more costly. We were in heaven last year at Half Moon Cay (shown in picture) that we really wanted to return this year. We changed a few things up this year, with a little first hand education last year we realized that the back end of the boat really is not the view that you would think. The Sun rises on the port side and neither sun up or sun down was visible from our room. We didn't make that same mistake this year. We're not on the top level this year, but we opted for midship, that way you are not far away from anything. * Well Monday is once again behind us and we are starring straight down the barrel of a Tuesday, I still can't think of a better reason than that to do a tidbits. * It's has been 1,796 wonderful fun filled days since Michelle and I went out on our first date. * It was 1,019 days ago that I got down on one knee and proposed marriage. * It has been 556 wonderful days of wedded bliss for us. * There are only 316 more shopping days left until Christmas 2013. It's never too early to start as some may say. * 130 days we'll be partying down with Kenny Chesney at Heinz Field. * There are only 37 more days until Spring is Officially here. It was unseasonably warm yesterday, almost like we're being teased. * I checked yesterday morning before I went to work, our dafodils are starting to come up. YEAH!!!! * I guess it's getting close to being time for deciding what the 2013 patio garden will consist of. I always have a lot of fun with that thing and the vegetables that come out of it are awesome. * I have an Eye appointment today. I'm not sure if they are going to dilate my pupils or not, they usually do this every year being I'm diabetic. * Michelle commute home yesterday took about an hour due to all the construction on the Mileground. They are placing a roundabout on the end of 705 and traffic is down to one lane. * Cardio and shoulders today, both Michelle and I are looking into starting to do yoga. I want to get a little bit of flexibility back. It's once again time to stop the relaxing and stick our noses back on the grindstone for another fun filled week of work. First, I would like to reflect a little bit before I stick my nose on anything. Yesterday afternoon Michelle and I went to the Micah Wilson Charity basketball game at University High School. I have to say that they did have a very nice turnout and it was a fun filled day considering. Micah's mom Michelle gave a very heart felt and tear jerking statement before the festivities started and she tossed the ball up for the initial tipoff of the game seen here. All proceeds from the game were donated to the family and Michelle wants to start a scholarship fund in Micah's memory. It was hard for me to see the mother of a young child who used to come and watch me play softball crying over the loss of her son. I got a couple of bug hugs from Micah's sister Shay and his Mother Michelle before the start of the event. My heart goes out to her and their entire family in this time of healing. Anyone notice there was no football this weekend? Does this mean spring is coming up soon? I had one Facebook friend in Morgantown post a picture of his daffodils coming out of the ground, meaning spring is right around the corner. I think my old Groundhog Buddy may have been right, we're going to have an early spring. Here I sit once again in a quiet household, I'm the only one who has recovered so far from a losing bought with the sandman last night. I have the TV playing in the background and have no idea what is even on as I collect my thoughts for the day. After attending the Christopher vs Alex basketball game at Mylan Park Elementary yesterday, and I have to say that is a nice school, Michelle and I headed west to Amish Country for a little bit of shopping. There is an ointment that we purchased up there while at the Springs Festival and we both thought this ointment was absolutely amazing. It's a do all and probably better than any ointment we have ever seen before. It's called Amish Origins and I would highly recommend it to anyone. The stuff is quite amazing. Today we will be attending The Basketball Fundraier for Micah at University High. I played softball with his father Andy and have always BS's with his Mother Michelle every time I see her. I remember the last thing I said to Micah a few years ago, I told him I hoped he had a great senior season except against my Alma Mater. He was a great kid. I see that it's 19° out, what is up with that? I'm ready for Spring. So much for my normal Saturday morning spiel of being the only one who has recovered from a losing battle with the sandman, Michelle is already up and ground her coffee beans for the morning. We are watching the Adam Sandler movie That's My Boy on Amazon. Our plans for the day include going and watching Christopher Toth play a basketball game this morning at Mylan Park Elementary. He's been on us a few weeks, so we are going to go and watch him play. West Virginia plays Texas tech this afternoon in Texas. the game will be the 1,000th of Coach Bob Huggins' career spanning over thirty years. I remember his first job at Walsh College and a friend of mine at Morgantown High was actually in his first ever recruiting class. Danny is now a teacher at Morgantown High after a number of years at cross town rival University High. 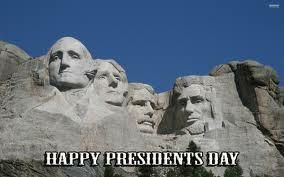 Have a great day and be thankful you are not in New England right now, they got nailed with a couple of feet of snow. For me, I'm off once again today and Michelle has to work. Depending on the weather I'm going to try to get our Sam's Club shopping completed, so Michelle can come home and relax after dinner tomorrow night. She has been a working machine and she needs a little R & R time. I have switched my workouts up the past couple of weeks. A lot of specific exercises targeting specific muscle groups rather than just building pure upper body strength. I have been stronger than I have ever been in my life, now it's time to do life extending workouts instead of trying to play Offensive tackle for the Pittsburgh Steelers. The torn Labrum kind of put a hamper on things and I was putting an awful lot of protein into my body. So much so that I added quite a few pounds and it just got to the point where I needed to re-evaluate my goals. There is a benefit basketball game for Micah Wilson this Sunday at University High School. Micah was the son of a former softball team mate when I played for Recourse and I've watched his athletic career blossom until his untimely passing last month. Once a week I like to take a little bit of time out and take a little bit of time to look through all of the digital images that I have stored on my computer. I like to find one lost moment in time and relive it through my blog. Sometimes this is a pretty easy task and sometimes it's not so easy, however it is always a lot of fun. This weeks pic goes back a number of years. It was on a Sunday and it was during the NFL Football season. My Brother in Law Nick is a huge football fan as you can tell. Every Sunday we would set up five televisions in the living room and Nick has five different receivers, all so he could watch five different NFL games at the same time. If you were a fan of an off market team (other than a Pittsburgh Steeler fan), Nick's setup allowed you to watch your games. Nick was/is a big Carolina Panther fan and I know he used to follow them religiously. They were some great times, sometimes it would be just Nick watching the games and sometimes all the guys from the neighborhood and a few others would show up. There was also the time when Nick rented a fog machine for the start of the NFL season, but that's a whole different story. Today is a day that ends all the madness in College Football known as National Signing Day. Today is the day when the High School Class of 2013 can sign to play football at their chosen colleges. Up until today, a recruit would give a verbal commitment, but they were not bound to that commitment in any way. 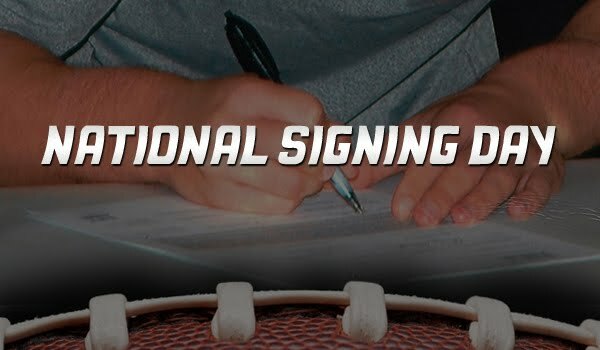 Today, they sign their National Letters of Intent and these verbal commitments now become binding for both the school and the athlete. 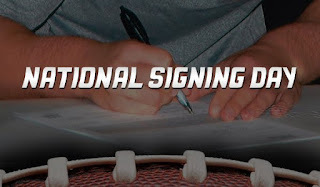 As of the time of me writing this, WVU currently has 24 verbal Commitments, but there always seem to be a signing day surprise in store, whether that is a good thing or a bad thing depends on what happens. Players will change their minds at the last moment possible, meaning we could either lose a prospective recruit to another school or we may flip a player to sign with us that has been committed to another school. It's always interesting to see how this works out. In my opinion, this season doesn't seem to have many knock out players from first glance. However that all changes once they hit the field. I've seen 5 Star Superstars turn out to be busts and I've seen no name 1 star recruits turn into NFL First Round Draft Picks. It all depends on the individual and how they approach the next level of their playing career. The recruiting sites will be a buzz today, it is usually their most busy day of the year. * Well Monday is once again behind us and we are staring straight down the barrel of a Tuesday, I can't for the life of me think of a better reason than that to do a tidbits. * It's been 1,789 days, yes I am still counting, since Michelle and I went out on our first date. It'll be 5 years next month for us. * It's been 1,012 days since I proposed marriage. * We are enjoying our 549th day of wedded bliss. * There are only 323 more shopping days left until Christmas. * 137 days until we party down with Kenny Chesney. * 44 more days until Spring officially starts, if you want my opinion that can hurry up and get here. * Newsflash: I STILL HATE SNOW!!!! * As I am typing this, I am holding my breath because I have hiccups. * The Mountaineer basketball team played on Big Monday for the second consecutive week. * Tomorrow is College Footballs "National Letter of Intent Day". This is where all the kids we have been recruiting the last year sign on the dotted line and it becomes a binding commitment. It's usually a pretty busy day for anyone who follows recruiting. * I have switched my workout the past few weeks. Every day is both lifting and cardio. Yesterday was chest, today is shoulders. Tomorrow is legs and Thursday is arms. * Considering looking into yoga after a Youtube video I saw. Meet "Sammy the Steeler Gnome". Sammy is our gnome that has been known to sit on our mantle in the living room, but he has a tenancy to roam around a little bit. Sammy tells me that he is going to travel around this year and will have his picture taken in a few different places this year. Yesterday however Sammy was stuck in a snow storm in my back yard to proclaim his feelings about this years Super Bowl. What choices does he have, does he want the San Francisco 49ers to get their Pittsburgh Steeler record tying sixth Super Bowl trophy or does he want the arch rival Baltimore Ravens and Ray Lewis to get a Super Bowl Championship. Throw in the snowstorm (Sammy hates snow too) and yesterday just was not Sammy's day. Sammy has told me he wants to see the world this year and would like to travel with me and Michelle wherever we go. I've added the Gnome and Sammy labels to my blog, just click either one of them whenever you see me Sammy and see where he is and has been. Hope your day is better than Sammy's. Here I sit once again in the early AM, I am the only one who has recovered from a losing battle with the sandman. I'm up early watching the movie Divinci Code on Crackle , streaming through the Roku of course, and collecting my thoughts for the morning. It's Super Bowl Sunday, yes they still play the game even thought the Pittsburgh Steelers are not in it, so that means it's going to be a great day for some Super Bowl Commercials. If you are not a fan of the game or the teams, the commercials never seem to disappoint. 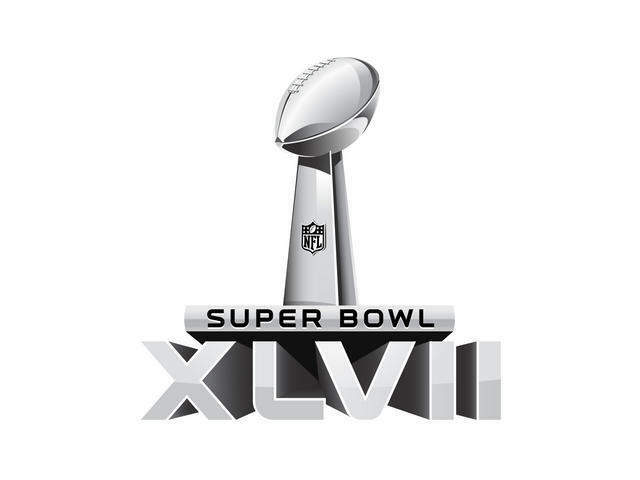 This evening's game will be between the NFC Champion San Francisco 49ers and the AFC Champion Baltimore Ravens. There will be two big story lines for today's game. One will be the end of a long and storied career of Ray Lewis. Win or lose this long time nemesis of the Pittsburgh Steelers will retire after todays game. I'm hoping for the SOB to go out on top. The other story line is the head coaches for the two teams. Jim Harbaugh the head coach of the 49ers will be facing his brother John Harbaugh the Head Coach of the Baltimore Ravens. Can you imagine what their parents will be going through today? At least they know their son will be a Super Bowl winning coach. ALL HAIL PHIL!!!!! 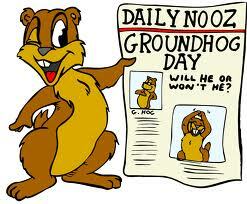 The greatest groundhog that has ever lived. The seer of things all prospectively meteorological and predictor of what is to come. On this day on Gobblers Knob, the greatest weather forecaster has spoken. The is NO SHADOW and Spring is right around the corner!!!!!!!!!! Note to my lizard friend Larry, tough Luck, the king of the groundhogs in all his wisdom has spoken. 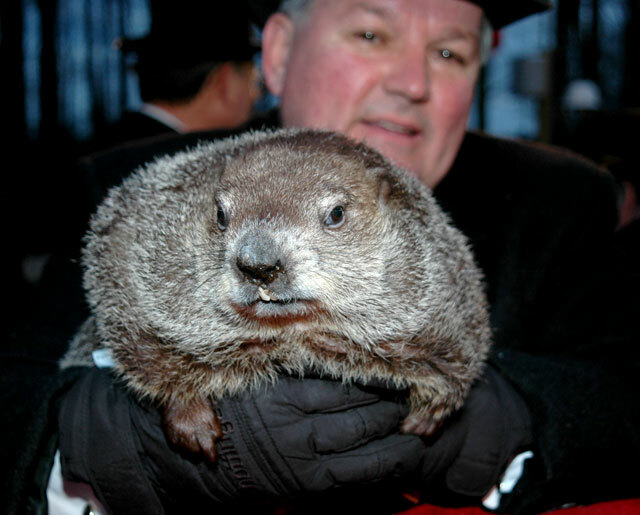 Yes I am up on this day, a day that is dedicated to my old friend Punxatawny Phil, the great rhodent of the meteorology world who gives us our forecast of what we can expect the weather to look like for the next six weeks. It is none other than one of my favorite holidays, one I have dedicated many blogs to and about. It's GROUNDHOGS DAY!!!!! (Or lizard day, depending on Phil's eyesite this morning). Michelle and I actually have a friend who make the trip to Gobblers Knob quite often, I even considered booking for it this fall but with the uncertainty of the Federal budget opted not to. Our friend Jes is probably on her way up Gobblers Knob as I am typing this blog. In years past the event has either been televised on TV or has been streamed live for everyone to enjoy. I remember watching the entire event one year from Frostburg and it looked like the place to be. 10,000 fans on the knob and a concert and fireworks display, I want to do this some time in my lifetime, call it being on my bucket list. On a personal note to my old buddy Phil. Did you enjoy the booze and hookers I sent? 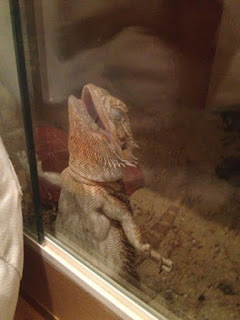 Do you want this to continue or are we celebrating Lizard Day next year? On a serious note they are calling for a lot of snow today, good day to watch the movie Groundhog Day, so stay warm and enjoy your day. I think we should change tomorrow to Lizard day, if this lizard sees his shadow we'll have six more days of winter and if he does not, spring starts. Take note on this my little buddy from Punxatawney, we're trying to negotiate a better deal with another critter to replace you. My advice to you is if you see your shadow tomorrow, just ignore it and pretend it isn't there. You've heard of selective hearing, I suggest you get suggestive eye site especially when it comes to shadows on February 2. Can you believe the weather the last couple of days? It has went from being in the 70's to around what it was last week and cold. That's about a 50° change in temperature, and not for the good. To say it has been strange and unpredictable is an understatement. I'm off today, but my sweetie has to work. I probably won't be getting into too much of anything until she gets home and we go out for dinner, which is just something we do every Friday evening. Have a great day, I will.